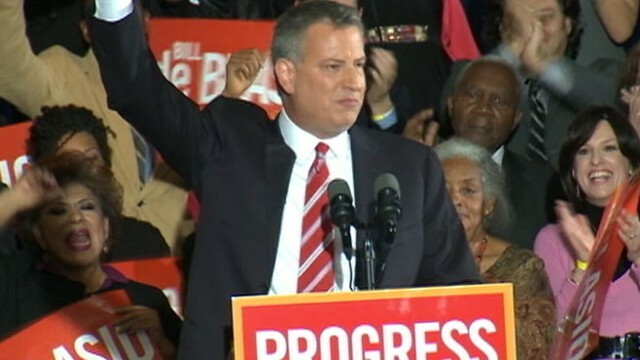 Bill de Blasio won a landslide victory to become NYC’s next mayor. Can he make his sustainability promises policy? As we ring in 2014, Bill de Blasio becomes the new mayor of New York City. In his campaign, Mayor de Blasio ran on a platform of reducing inequality and enhancing sustainability in the city. He succeeds Mayor Michael Bloomberg, whose three terms conclude with several accomplishments (PlaNYC 2030, the cleanest air in half a century, expanded capture of methane at Newtown Creek’s wastewater treatment facility, expanded mass transit, the successful launch of the CitiBike program, the creation and expansion of cycling lanes, establishing a more effective and economical recycling program (which I wrote about in 2006), creating a pilot program for composting, the continuation of more than 20 years of falling violent crime rates, and, at the end of his tenure, a ban on foam food containers). These formidable achievements are ones the outgoing mayor can point to with pride. Under his leadership, New York City also saw a widening gulf in income inequality and further scarcity of affordable housing, as well as deep resentment of the police tactic known as stop-and-frisk. If we define social equity as a crucial component of sustainability (and we should), these points will be remembered as failures by the Bloomberg administration. Policing and income inequality (summed up in the slogan “a tale of two cities”) rallied New Yorkers to vote for deBlasio and begin a new chapter in the city’s history. What will the new mayor do in 2014? He has already made appointments on housing (Alicia Glen), police (Bill Bratton), and chief counsel (Zachary W. Carter), appointments all intended to follow through on candidate deBlasio’s promises about housing and policing. He also promised to do more on other aspects of sustainability. As the tenure of Mayor de Blasio officially begins, remembering this platform will be useful in evaluating the future direction of the city. Here, in full, is the candidate’s platform on sustainability (as found on his campaign website). New York City has been a leader in green initiatives to save energy, protect the environment, and build green jobs for our economy. Bill de Blasio intends to build on that history and expand sustainability initiatives throughout the five boroughs. New York City has all of the critical components in place to become the most sustainable city in the world: dense public-sector resources and infrastructure, private capital, innovators in science and technology, strong labor unions, and a committed citizenry. We can and must build on the successes of PlaNYC and convene all stakeholders to build the most sustainable city in the world. As mayor, Bill de Blasio will convene public and private sector actors to expand and deepen PlaNYC, and he will update the plan every year on Earth Day. 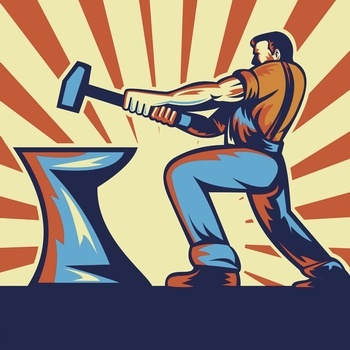 The green collar economy begins with a clear commitment to alternative energy sources. As mayor, Bill de Blasio will expand the city’s investment in large-scale clean energy production, including wind, solar, geothermal, hydropower and biofuels. Not only would such a transition reduce New York City’s carbon footprint, it would expand economic opportunities — from entrepreneurs to production and installation jobs. Bill de Blasio will also advocate at the state level for the New York Solar Act, which will provide additional incentives to sup- port the adoption of solar energy production. At economic development hubs around the city, Bill de Blasio will have city workers provide technical assistance to local business owners with an emphasis on greater efficiency. This technical support will provide information on ways to increase energy efficiency in their buildings and better manage waste, which will help reduce transit and logistic energy costs while improving industrial processes. The city will also help small businesses identify the government and private resources that can help them green their businesses and use the energy savings to grow their businesses. New York City is behind in recycling and reducing waste, at great cost to the budget and the environment. The city spent $320 million in 2011 on disposal, while sanitation trucks drove 40 million miles, spewing huge amounts of greenhouse gases. Training on ways to reduce energy costs effectively should be integrated into industry sector workforce development in all schools, apprenticeships and training programs. Bill de Blasio will model its green workforce initiatives on the Green Professional Building Skills Training model, which brings together labor unions, government officials, business leaders, environmentalists and CUNY educators to train workers and credential them for career advancement in green building management. With many neighborhoods across our city still reeling from the damage caused by Superstorm Sandy, and with severe weather on the rise, Bill de Blasio will invest in infrastructure upgrades that improve our resilience and ability to respond to an emergency. Permeable surfaces and natural infrastructure, for example, do more than help keep our waterways clean — they protect our homes and neighborhoods from natural disasters, increase home values, and create new construction jobs. He will also implement many of the recommendations made by the Special Initiative for Rebuilding and Recovery, including safeguarding utilities and hospitals, and improving protective infrastructure with assets like surge barriers and sand dunes. By restoring our coastal ecosystems — such as our wetlands, dunes, and rivers — New York City can renew our long-neglected waterways while making important strides in protecting against future storm surges. In the same way that the High Line has been transformed from an urban blight to a rich community space, New York City can renew our waterways — such as the Gowanus Canal, Newtown Creek, and Jamaica Bay — to improve our water ecosystems and expand locations for urban ecotourism. As mayor, Bill de Blasio will work to restore our waterways and will implement a five-borough bioswales initiative to minimize the pressure on our water and sewer system. As mayor, Bill de Blasio will target rezonings and development of additional housing to locations with strong transit connections, encouraging higher-density development at and around transit hubs, while preserving lower density neighborhoods located further from mass transit. For many years, New York City’s trash was disproportionately shipped to poor communities in the outer boroughs. Bill de Blasio understands we need a fair, five-borough plan to handle New York’s garbage. De Blasio will implement the Comprehensive Solid Waste Management Plan, including opening the 91st Street Marine Transfer Station. Even with EZ Pass, tollbooths still mean congestion and delay for thousands of drivers every day. The MTA has successfully experimented with gateless tolls on the Henry Hudson Bridge, proving that new technology can allow us to remove tollbooths and let motorists make toll crossings without reducing speed, saving time and reducing congestion. Bill de Blasio will work with the MTA to introduce gateless tolling on existing toll bridges that are notoriously traffic-choked, like the Verraza- no-Narrows Bridge. To cut electricity consumption and reduce power outages, Bill de Blasio knows we need a long-term vision to upgrade the grid that delivers electricity to New York City homes. This means developing a comprehensive strategy to deploy smart meters that allow consumers to better manage consumption, and enable utilities to better manage peak energy loads. Bill de Blasio will work with Albany to establish real-time pricing options for electricity to decrease energy consumption and energy bills for participating New Yorkers. He will also support increasing the size of solar and alternative energy installations that can use net metering, which allows homes and businesses to feed energy that hasn’t been used back into the grid. In 2009, Bill de Blasio sponsored the resolution calling on federal and state agencies to assess the risks posed by hydrofracking to drinking water, and to apply appropriate regulations. He supports the two-year fracking moratorium recently passed by the Assembly, and hopes the Senate will also approve the measure. Questions about health and environmental safety remain unanswered, and we can’t afford to get this wrong. Several of these promises reflect continuities with the policies Mayor Bloomberg pursued. Some are departures. A few raise questions about the details of implementation. This is an ambitious platform, and sustainability advocates are curious to see how and how much of it becomes policy for the United States’ largest city under Mayor de Blasio over the next four years. This entry was posted in policy, recycling, sustainability, waste on December 31, 2013 by Carl Zimring. Of the books published in 2013, these are the ones I found most valuable. Hugh Gorman (author of Redefining Efficiency) has provided an invaluable historical perspective to debates over sustainability. As ambitious and accessible as John McNeill’s Something New Under the Sun (albeit more centered on American examples than that global history) Gorman’s subject is the whole of human manipulation of nitrogen from its application in early agriculture to the industrial processes that allowed us to increase nitrogen production beyond the perceived ecological limit, the scaling of these processes under market capitalism, and the subsequent environmental consequences of that production. Gorman examines the social responses to these consequences, and how they inform policies and practices to mitigate environmental damage. The impressive achievement of this book is that although it is a history of a chemical process, it is framed in the ways humans have manipulated that process, and how the consequences of that manipulation have had tangible effects on humans and the environment. It is an engaging read, a successful interdisciplinary history, and a book that ought to provoke discussion amongst policymakers and scholars of sustainability. I will have more to say about the latest book from urban cultural historian Carl Smith in an upcoming issue of the Indiana Magazine of History, but here I can say that the author of Chicago and the American Literary Imagination brings his attention to infrastructure concerns in a way that resembles Nick Yablon’s remarkable bricolage of sources in his wonderful Untimely Ruins. A contribution to urban history that obliterates divides between studies of the city as built environment and as site for social processes. It also brings into focus our tendencies to channel anxieties about our bodies with anxieties about urban health. 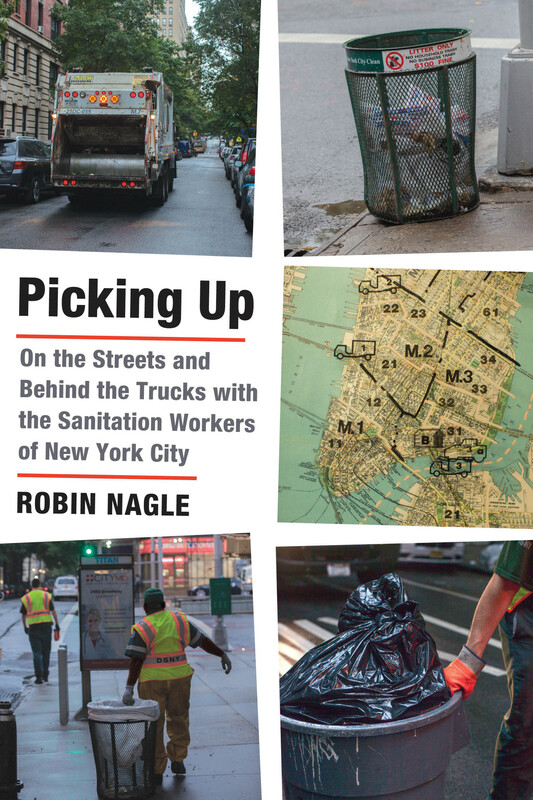 Robin Nagle, Picking Up: On the Streets and Behind the Trucks With the Sanitation Workers of New York City (Farrar, Straus, & Giroux). A reminder that all labor has dignity, and the work of picking up a city’s garbage is vital to that city functioning. Robin Nagle is, as far as I am aware, the only anthropologist in residence at a large American city’s department of streets and sanitation. Her work (accurately depicted in the subtitle of this book) allows the reader to get an understanding of what daily life, interactions, and hazards is like for the people who provide New York City this essential service. 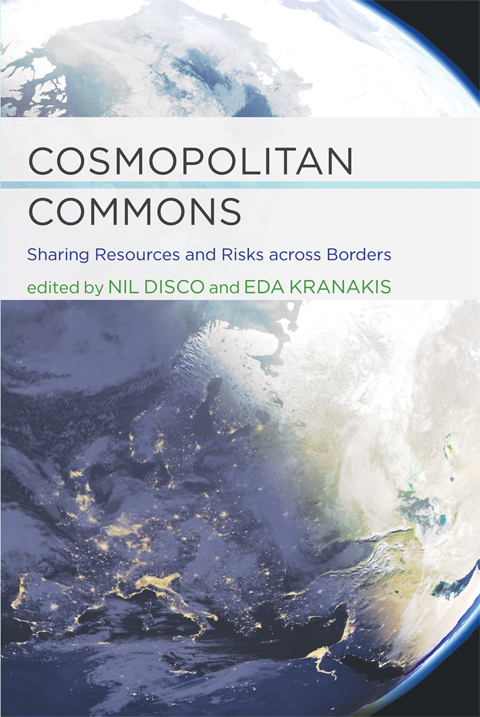 This collection of essays builds upon Elinor Ostrom’s concept of polycentric management of commons to investigate ways in which European neighbors have — even at times when they were uneasy neighbors, to understate twentieth-century history — cooperated on sharing resources ranging from fisheries to clean air to radio waves. 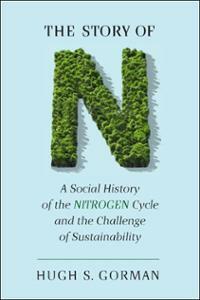 The obvious value of this volume is how it provides historical precedent to collaborative environmental policy in the future, but it also gives a new perspective on how modern industrial societies evolved together. Together with The Story of N, this volume invites discussion of the demonstrated limits of free market capitalism and how these limits have been addressed in the past (and perhaps might be addressed in the future). For more than a decade, the Envirotech Special Interest Group of the Society for the History of Technology (and, unique among SHOT SIGS, also meets at the American Society for Environmental History conference) has been the source of wonderfully productive discussions about the complex relationships (and often blurring definitions) amongst humans, the environment, and the technologies humans develop. Dolly Jørgensen, Finn Arne Jørgensen, and Sara B. Pritchard have played major roles in leading these discussions, and here the three turn their attention to how environmental history and STS may inform each other. The collection of essays they cultivated discuss agriculture, energy, pollution, and outer space, all considering epistemological questions about how we have constructed and valued expertise over time. 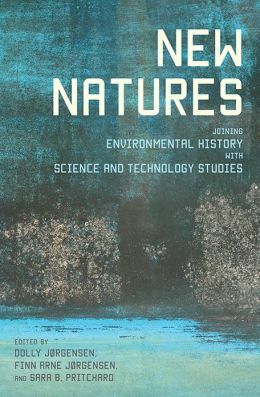 Like The Story of N (written by fellow Envirotech participant Gorman), this volume encourages discussions that transcend disciplinary boundaries and divides between policymakers and academics. In the early nineteenth century, British sanitary knowledge moved across the Atlantic as sanitary engineers in New York, Massachusetts, and other American states adapted the theories and techniques of pioneering sanitarian Edwin Chadwick to fight infectious disease and the mounting problems of urban waste management. The Business of Waste, in a sense, returns the favor. American historians, including Martin Melosi, Susan Strasser, and Joel Tarr have made substantial advances in our understanding of American waste disposal patterns and management techniques in the past twenty years. This book by University of Glasgow historians Raymond G. Stokes, Roman Köster, and Stephen C. Sambrook advances our understanding of how public and private municipal refuse and salvage operations evolved in European cities. 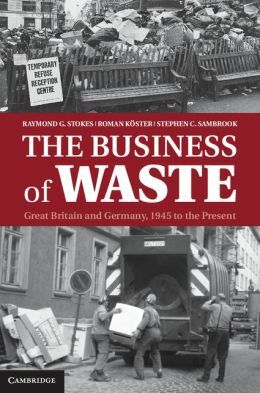 This book is an important comparative history on waste management and enriches our understanding of British and German waste practices during a time of great change. Brad Hunt is Dean of the College of Professional Studies at Roosevelt University and author of Blueprint for Disaster, as careful a history of American public housing as I have read. Together with Marshall Bennett Institute for Real Estate Director Jon DeVries, he has turned his attention to how planners have shaped the lived experience in Chicago, what planning strategies took place in the twentieth century, and how current land-use policy differs from that period (for better and, as the authors argue, for worse). 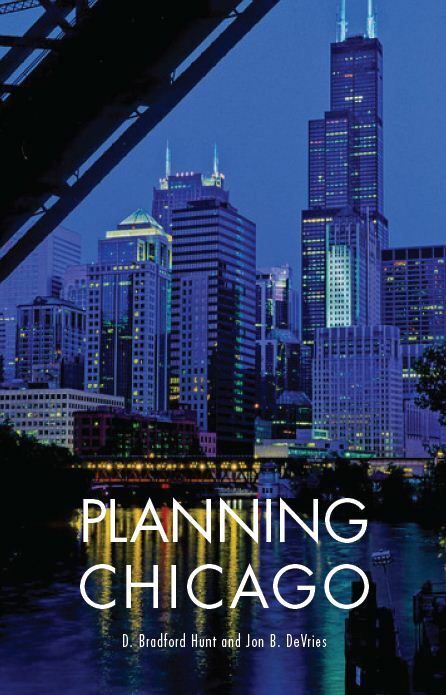 People familiar with Chicago politics may be aware of the city’s controversial use of Tax Increment Financing districts (TIFs) under the past two mayors, and this policy development is one of the problems Hunt and DeVries identify as a departure from more systematic planning efforts. (And one that Jane Jacobs would hardly endorse, given the tendency to use TIF money for big downtown projects at the expense of aiding neighborhoods seeking more modern schools and infrastructure.) As cities strive to develop optimal transportation, green space, housing, job bases, energy, and waste management amid budget pressures (sometimes with the aid of initiatives such as C40 Cities), understanding the history of how planning has contributed to the ways we experience cities is important. 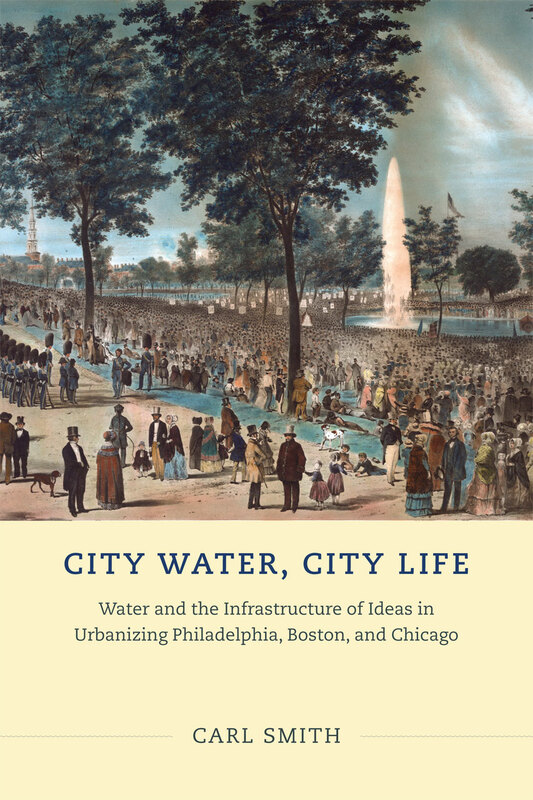 This is a useful guide not only for students of Chicago, but for all interested in how government and society in cities interact. The practice and teaching of sustainability at colleges and universities is diverse. Some institutions develop programs strongly reflecting the values of the Brundtland Report; others critique the report, critiquing ideas of development with a focus on equity, justice, and understanding the particular challenges and values of peoples in specific contexts. (I try to produce courses that explore convergences and conflicts in those models, and try to get students to question their own values and assumptions as they assess visions of sustainability.) The methods and themes taught may reflect strongly interdisciplinary approaches to the natural sciences, social sciences, and, humanities, or may focus on management. 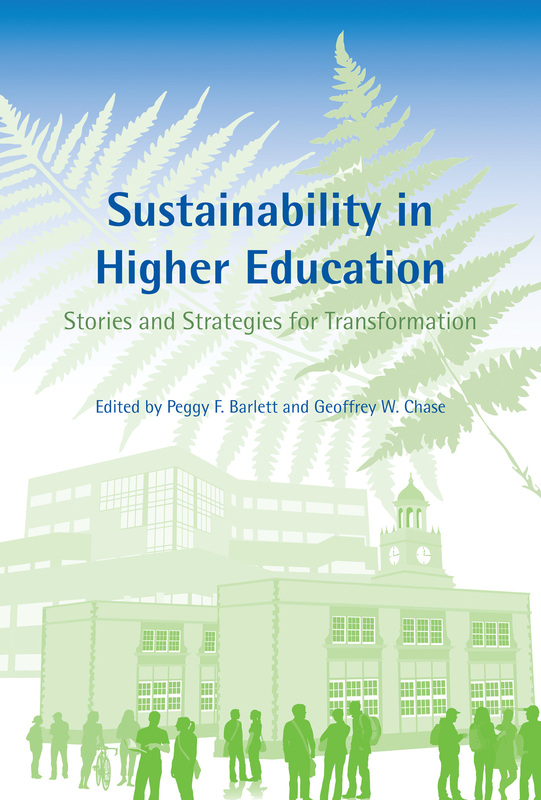 This volume edited by Peggy Bartlett and Geoffrey Chase (who coordinate a series of sustainability leadership workshops for the Association for the Advancement of Sustainability in Higher Education (AASHE) ; I participated in a workshop Peggy Bartlett ran at Emory University earlier this year) does not advocate any one model so much as it reflects the experiences of several creators of sustainability programs. The focus here is on how we as faculty (usually trained in a particular discipline) work with, respect, and value our fellow faculty, administrators, and students as we develop best practices and curriculae. Part of the value of this volume is its attention to how we create and value academic programs in general, and how to work together with potentially conflicting people in spite of differences. If you read Saul Bellow, Jane Smiley, or David Lodge, you will recognize that quite a few highly accomplished academics lack that ability. As such, Sustainability on Campus is worthwhile not only for those academics seeking to develop or expand sustainability programs, but also for academics seeking to develop healthy, mutually caring relationships in any department. 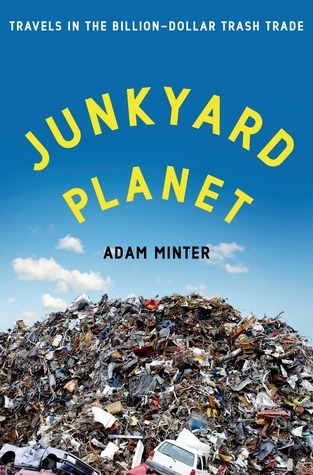 Adam Minter grew up in a scrap-dealing family (unlike my scrapping ancestors, his were adept at identifying valuable materials in the discards of others and made a living at it), and works today as a journalist covering the global scrap trade. His past and present inform Junkyard Planet, a highly accessible glimpse into the worlds of the people who scrap and salvage all over the world, particularly in China. Any serious attempts to develop sustainable production and waste management policies must take into account the ways in which we (in formal and informal ways) currently classify and process materials. Minter’s conclusion underscores the importance of design for disassembly in reducing the most noxious consequences of scrapping. That is a theme I try to convey to students in my own teaching as well as in publications like my article on automobile shredders, and I appreciate it concluding this book. This decade-later sequel to Cradle to Cradle: Remaking the Way We Making Things is speculative, self-promoting, idealistic, and evangelical in trumpeting what the authors call “the next industrial revolution.” In it, McDonough and Braungart argue, waste and toxins are part of an obsolete mode of production supplanted by production of goods that break down into nutrients that fuel further abundance. In being all these things, it is also a thought-provoking challenge to modern industry and design to assess current goals and practices. 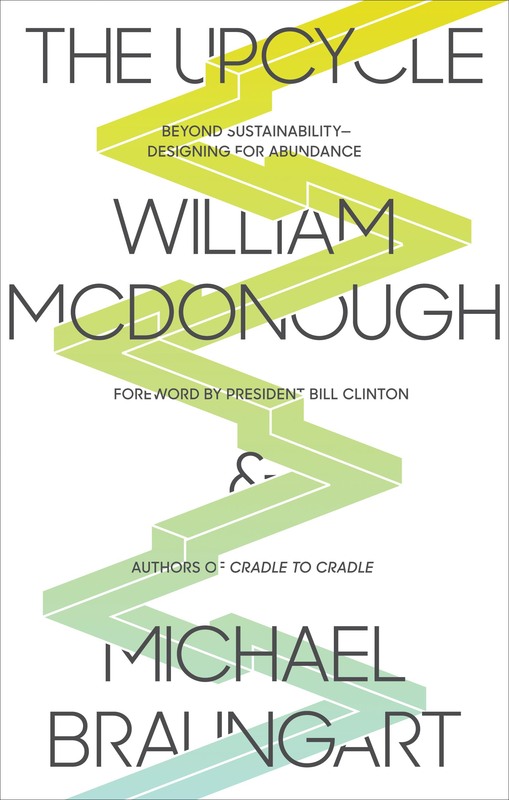 Readers might compare Minter’s conclusion in Junkyard Planet to the recommendations McDonough and Braungart make here; they may also consider Gorman’s model of historical change and assess how the forecast McDonough and Braungart reflects (or does not reflect) how humans, corporations, and governments actually behave. On that last point, McDonough and Braungart might take hope that some of the chapters in Cosmopolitan Commons indicate their speculative future has precedents. At the Pratt Institute, I teach many design and architecture students about the consequences of their creations. The Upcycle, for whatever its flaws, is valuable in advancing the conversation with these students about their goals and aspirations. It also draws greater attention to the practice of upcycling (created goods of enhanced economic or cultural value from discarded materials), and one of my current research projects involves the history of up cycling and how it might inform future design practices. For those reasons, The Upcycle is one of the books of the year. Some very promising titles are scheduled to arrive in 2014, but I will refrain from speculating too much before I read them (and because I should get back to writing one that ought to be published in 2015). This entry was posted in consumption, history, publications, recycling, sustainability, waste on December 20, 2013 by Carl Zimring. Chicagoans! Don’t Trash Your Christmas Trees! 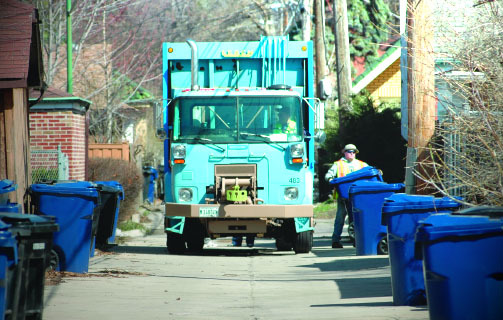 The city has expanded recycling pickup service to more single-family dwellings. Now Streets & Sanitation works on encouraging the people who have Blue Carts how to properly use them to divert more materials from landfills. The campaign has improved awareness around recycling, but we need your help to continue to spread the word about recycling and the Blue Cart program to your family, friends, neighbors and colleagues. To help you right now in outreach to your community, please find attached the NEW BlueCart Recycling Schedule 2014 and Christmas Tree Recycling Flyer 2013-2014 flyers. (Links open PDFs.) The 2014 calendar is available online at www.chicagorecycles.org and is divided by recycling zone to allow residents to further pinpoint their collection week schedule. We are open to ideas for how to promote recycling in communities and would be happy to supply materials and/or help facilitate an upcoming event. Keep in mind the holiday season is a good time to remind friends and family to recycle. I’m pleased to see the city provide these resources during the Christmas season, and hope that these efforts contribute to a higher recycling rate. The Chicago Recycling Coalition (disclosure: I’m on the board of directors) has collected resources on local recycling and waste minimization activities, and continues to press the city to ensure all Chicagoans (including those in multi-unit dwellings) have access to recycling services. This entry was posted in recycling, waste on December 19, 2013 by Carl Zimring. “Creating the Sustainable City: Building a Seminar (and Curriculum) Through Interdisciplinary Learning” (co-authored with Mike Bryson). This entry was posted in history, publications, recycling, sustainability, waste on December 12, 2013 by Carl Zimring. 2013 brought much good music to my ears; here are the dozen new records I enjoyed the most this year. Phelps continued to write after releasing 2004’s Customs though recording and live performances stopped soon after. Whatever experiences he had during that period of silence have produced some harrowing songs. His last batch of performances before the silence sometimes included “Nashville Sound.” Once he returned to the studio, Phelps recorded a stunning version for GALA, an album that ranks with his finest work and (with its mix of quiet acoustic ballads, anthemic electric songs and several mixing dynamics, spare keyboards, and just the right amount of feedback) is among the best records of the past quarter century. In addition to GALA, Phelps also recorded pieces with Stuart Dahlquist as Thine and old friends Tim Midyett and Andy Cohen as The Wilma Pool. All are reminders of how good it is to hear new music from him in 2013, and how much he was missed while he was away. If you have ever wondered what early New Order might sound like with Richard Lloyd on guitar, a clear mix free of Martin Hannett, and much better lyrics, seek this out. Some enterprising hip-hop DJ is going to mine this album heavily for beats and riffs, as what its contained is as rich in these as the Gogebic Range is in iron ore. The first time I saw Robbie Fulks was 1996, and he immediately impressed me as a brilliant singer, guitarist, and entertainer. Also a talented writer, occasionally veering on the smartassed, but also capable of affecting work grounded in country and drawing in styles that appeal to him. He’s released brilliant pop on Couples in Trouble and shown his affinity for R&B on his recent Michael Jackson tribute, but his voice and sensibilities are firmly grounded in country music. Gone Away Backward is a somber, mostly acoustic take on the decline of rural America that sounds like a bluegrass approach to Things Fall Apart (Chinua Achebe, not the Roots). 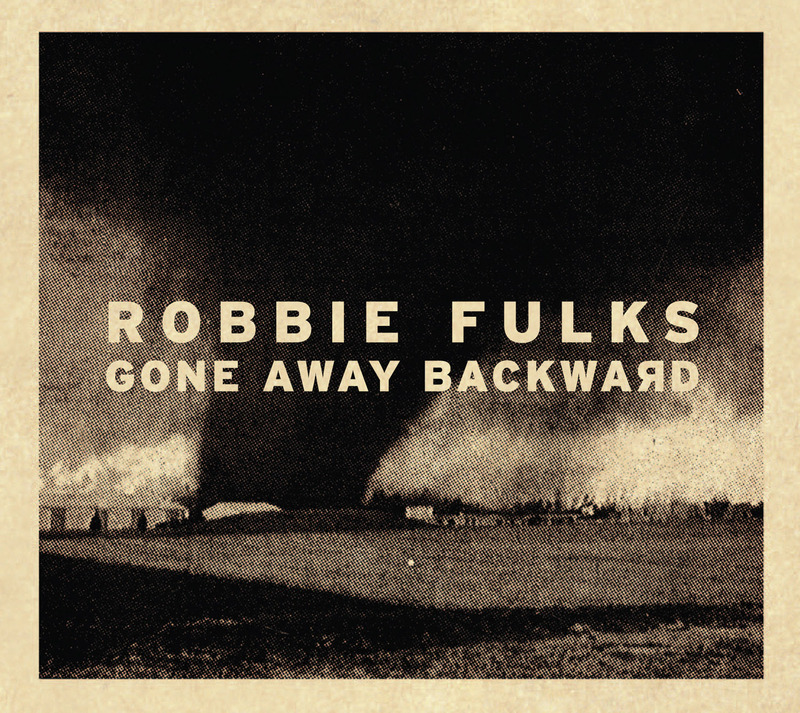 Fulks delved into these themes on the title track of his Georgia Hard album and has fleshed them out further here. He’s always been a talented writer and continues to grow in his fifties. The Book-Burners are led by onetime .22 drummer (and, based on his capabilities as a frontman, potential cult leader) Bradley R. Weissenberger. 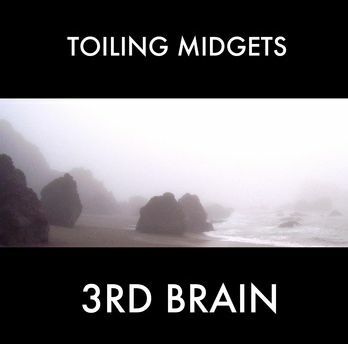 Since mid-2012, they have been astonishingly prolific, releasing several EPs at a pace that would exhaust Billy Childish. 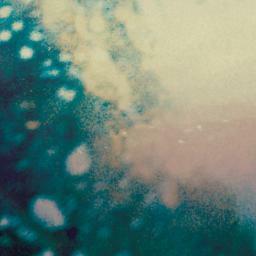 Some are chilling, stark acoustic folk, some rock out. People’s Songs is their first LP, and it splits the balance…not quite evenly. 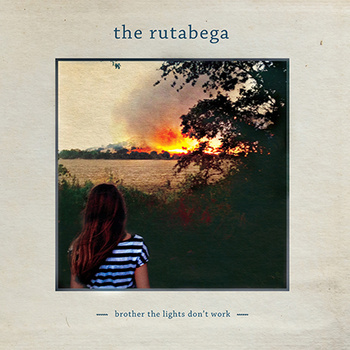 Rock wins out, with lead vocals owning something to Michael Stipe’s early work (though with clearer enunciation), and a take on folk-rock not quite like anything I’ve heard before (outside of those many, many EPs). This is a sort of reissue and also a new release. 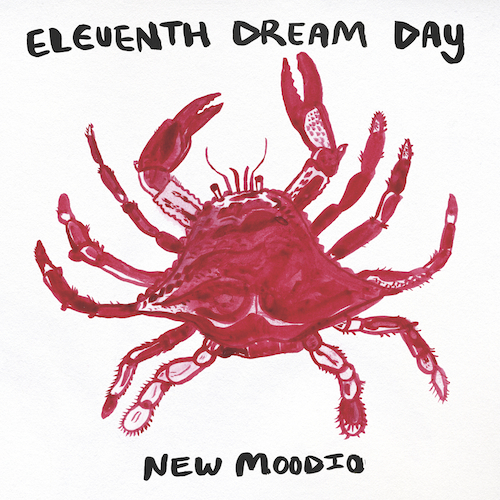 Eleventh Dream Day recorded these tracks in 1991 ahead of their magnificent El Moodio from 1993. Some, in more polished form, made their way onto that record, and others such as the brilliant “Thinking Out Loud” stayed unreleased until this year. Several of my favorite EDD songs (“Makin’ Like a Rug,” “Honeyslide,” “After This Time Is Gone,” and “Rubberband”) are included in terrific takes. I have no idea why neither this nor the eventual Atlantic release didn’t sell hundreds of thousands of copies to fans of electric guitar, but I am glad to have this LP two decades later. Janet Bean plays drums in Eleventh Dream Day and guitar in Freakwater. She sings in both, and both have strong Americana elements (one in Crazy Horse rock, the other a take on acoustic bluegrass). 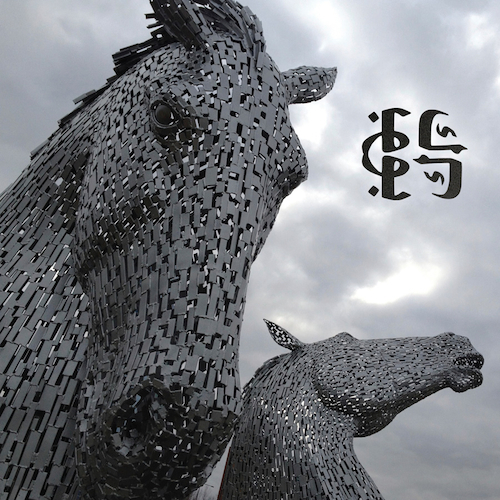 Horse’s Ha is different, sounding more like English folk rock as played by Martin Carthy or Richard and Linda Thompson. That’s in no small part due to her bandmate James Elkington, whose acoustic guitar suits Bean’s beautiful voice well. Then again, she sounds good in every setting I’ve heard her in. 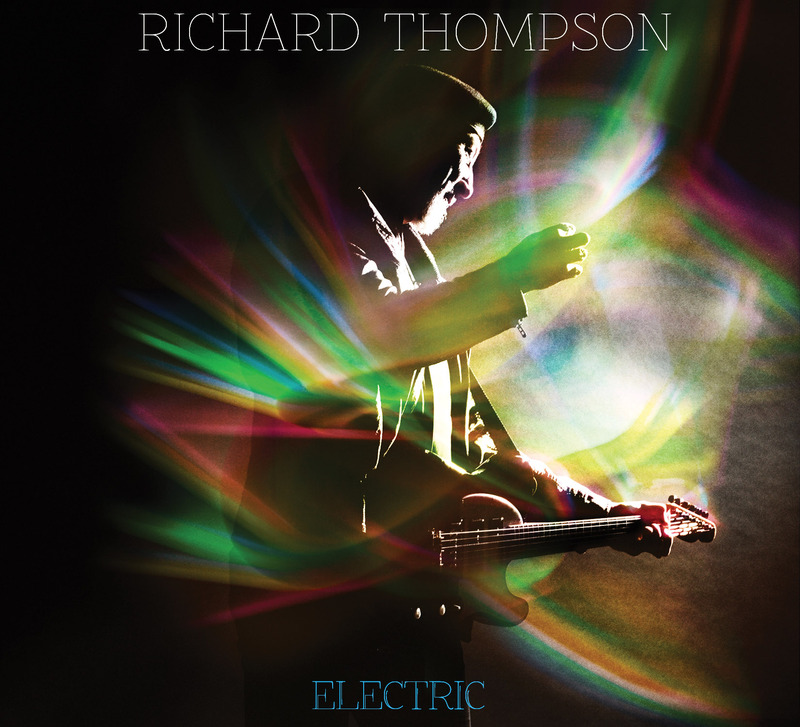 Speaking of Richard Thompson, he’s been one of my favorite guitarists since I heard Fairport Convention’s “Tam Lin” one Halloween, and records like the solo Across a Crowded Room and the two French Frith Kaiser Thompson albums are among my favorite albums. Some of his songs feel fomulaic, and some of the production on his records (the clanky Mirror Blue comes immediately to mind) hasn’t been flattering, but Electric has neither of those flaws. It cannot hurt that fellow guitarist Buddy Miller produced the set, keeping the focus on Thompson’s songs and playing. The result does justice to Thompson’s live work. Helen Money (a.k.a. Alison Chesley) used to be one half of Jason & Alison, which later became Verbow. My favorite part of that band was her brilliant cello playing, and since going solo as Helen Money, her music is all about the sounds she can make with the cello, some effects, and amplifier noise. It’s transfixing live and wonderful on record. If I win the lottery, I will commission a duet record between her and Richard Thompson. Evolving out of the Gordons, Bailterspace developed some of the thickest, most satisfying guitar textures of the 1990s, in some respects taking a similar approach to Tar. (Speaking of Tar, can I count their wonderful, Chunklet-released compilation 1988-1995 as one of the year’s best records? No? Even with the terrific packaging? Fine.) 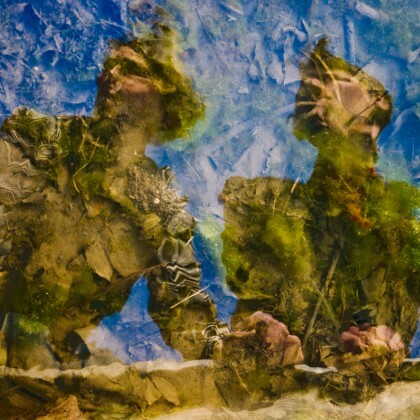 Now one of the noisier New Zealand bands is back with a trio lineup showcasing Alister Parker’s distorted guitar work, and the result is my favorite example of their work since 1996’s Whammo. Albert Brooks once remarked that it is better to be known by six people for something you are proud of than by sixty million for something you’re not. The sales of all of these records are closer to the former than the latter, but all the involved musicians should be proud of their efforts. Should your consumptive tendencies involve purchasing music for others as gifts this holiday season, and any of these descriptions sound promising, consider tipping their sales a little closer to sixty million. 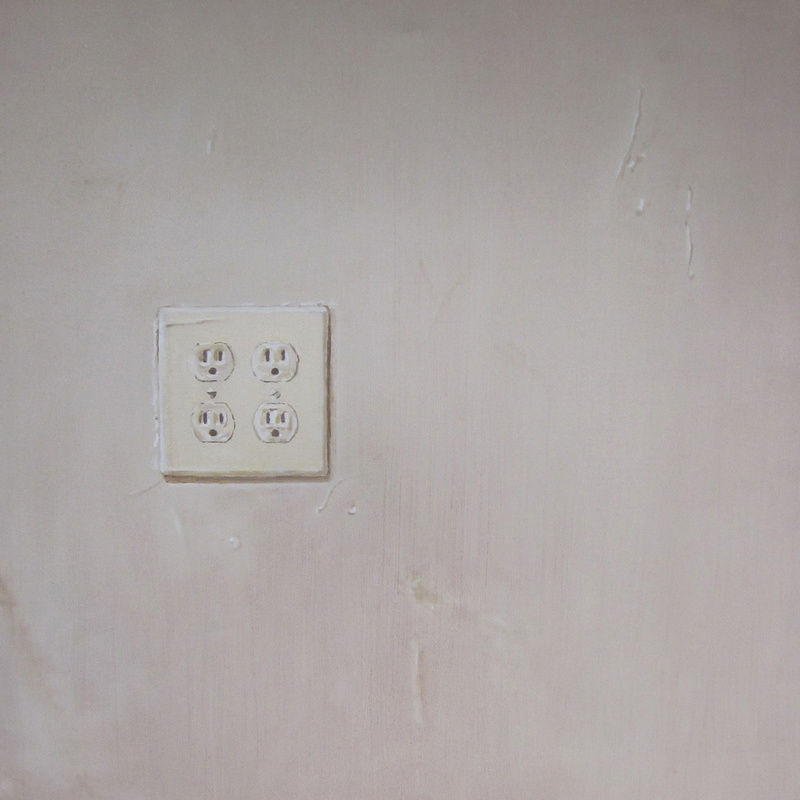 This entry was posted in consumption on December 3, 2013 by Carl Zimring. As the fall semester comes to a close here at the Pratt Institute, we are beginning preparations for Spring 2014. This will be the second semester where undergraduates can declare for the Sustainability Studies minor, and both of my classes in the spring are ones students can count towards that minor. SUST 201-01 The Sustainable Core still has available seats. SUST 401-01 Power, Pollution, and Profit has now filled to capacity, but students may elect to get on the wait list in case registered students decide to drop. Modern sodety relies on burning fossil fuel for energy, with serious economic, public health, and environmental consequences. Learn the history of how we came to rely on unsustainable energy sources and ways In which our future use of energy may be made mode sustainable. Spring 2014: Tuesdays, 2pm-4:50pm. 3 credit hours. Spaces remain available in SUST 201-01 The Sustainable Core, which meets Monday afternoons from 2-4:50pm in Spring 2014 This course is designed as our introduction to sustainability, is the required core course for Pratt’s Sustainability Studies minor, and is an excellent way to get familiar with the many ways sustainability is practiced at Pratt. This course provides an overview of sustainability by exploring definitions, controversies, trends, and case-studies in various systems and locales (urban/rural, local/national/global). Investigation of critical elements of sustainability, including environmental history and urban ecology, sustainable development and landscape transformations, recycling/waste management, ecosystem restoration, and environmental justice. Spring 2014: Mondays, 2pm-4:50pm. 3 credit hours. Both of these courses may count as a Social Science or Philosophy elective, both may be applied to the Sustainability Studies minor, and there are no prerequisites for either of them. If you are a Pratt student and have any questions for me about these courses (or about the Sustainability Studies minor), please feel free to contact me at czimring@pratt.edu. This entry was posted in consumption, recycling, students, teaching, waste on December 2, 2013 by Carl Zimring.